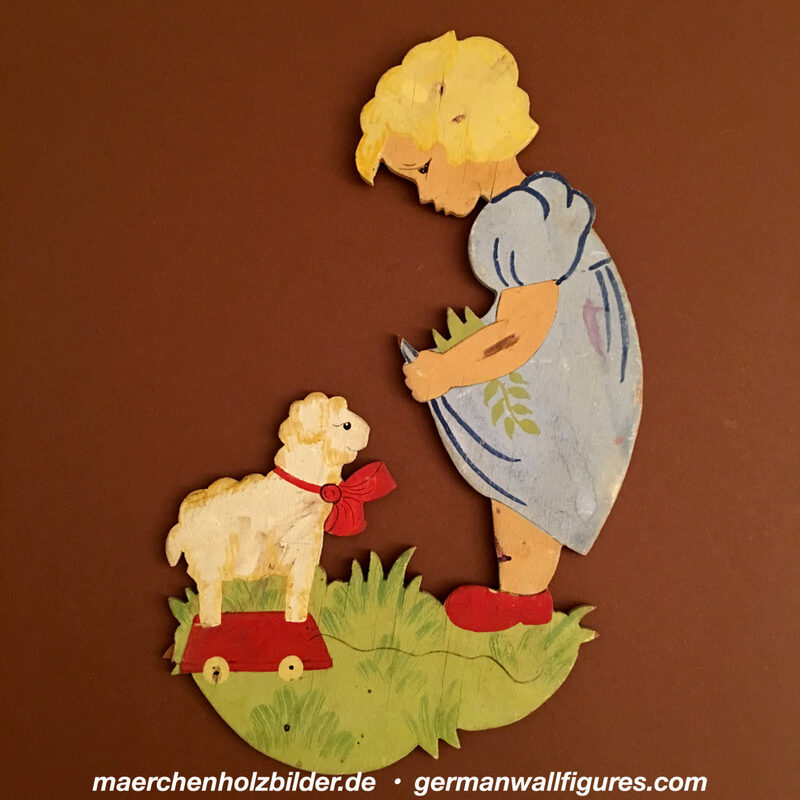 The 1930s Münchner Kinder-Wandbilder had large wall figures and a matte finish. My guess is that they developed into Münchner-Kunst in the 1950s with thick paint and a lacquering layer that brought out vivid colors. The wall figures became smaller, too.